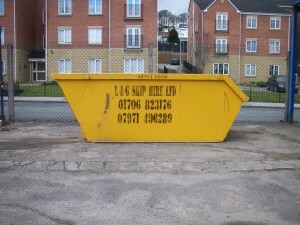 We provide a personal and commercial waste removal service, but can cater to needs of any size with our range of skips. Prices available over the phone or on arrival – 01706 823 176 and the mobile 07971 496 289. For a comprehensive range of waste disposal services, including cost effective skip hire across Lancashire and surrounding areas L&G Skip Hire are a family run business who provide skips to either domestic or commercial customers.